Home Android Kata Digital Phones & Tablets KATA Venus 3 a 4-inch, Dual-core, 5MP Camera for only Php 3,999! KATA Venus 3 a 4-inch, Dual-core, 5MP Camera for only Php 3,999! This coming December 7, 2013, Kata Digital will launch their newest model of smartphone KATA Venus 3 in Kata store in Robinsons Forum. What's inside of these new smartphone? 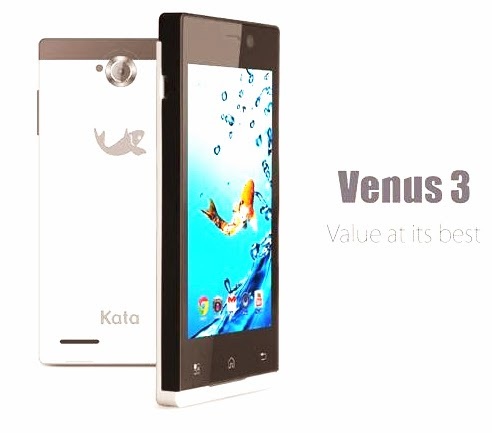 The KATA Venus 3 is powered by 1.2Ghz Dual-core processor, 512Mb of Ram and 5 megapixel camera.